New patients under the age of 2 get a free first exam! The American Academy of Pediatric Dentistry recommends that a child's first dental appointment happens when they have 8 teeth or by their first birthday. 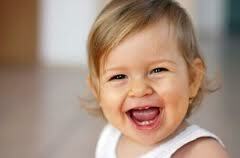 Call 630-948-8204 to schedule your child's FREE FIRST SMILES appointment. Please note, child must be under the age of 2. To make your child's experience positive, schedule your appointment in the morning when they are fresh.